The true test of greatness for any MLB player is his legacy in the league and amongst his teammates - past, present and future. For the players, staff and fans of the San Francisco Giants, there is one man will always personify the true meaning of the word “INSPIRATION”…and that man is “Willie Mac” Willie McCovey. 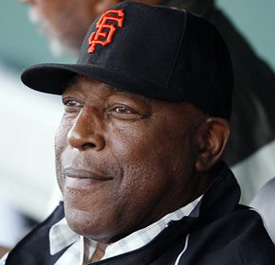 Since 1980 (the year McCovey retired) The “Willie Mac” Award has been voted on by current players and coaches, and presented annually to active member of the Giant’s roster who best exemplifies the competitive spirit, ability and leadership consistently shown by “Stretch” as he was known throughout his 22-year career. Over the years the award has gone to many phenomenal players, including: Jack Clark, Joe Morgan, Jose Uribe, Jeff Kent, and Benito Santiago; while a handful of young phenoms have won the award twice, including: Mike Krukow and J.T. Snow and Bengie Molina. Over the years, the award has gone to seven pitchers, four first basemen, four second basemen, six catchers, three center fielders, three shortstops, two right fielders, one third baseman and one left fielder. All of whom gave been honored with plagues with their names placed in the ground surrounding the statue of Willie McCovey on the southern shore of China Basin, unofficially known as McCovey Cove. "We all know Willie well enough to know that when he's not at the ballpark, something isn't right," said Giants Senior Vice President Mario Alioto. "But he watches every game. He making very good progress, and he sounded great when I talked to him today."